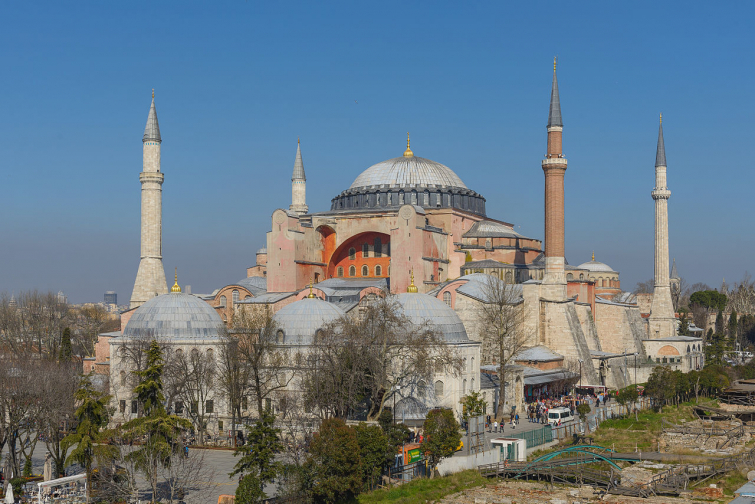 In a recent announcement, Turkish President Recep Erdogan expressed his desire to repurpose a former Byzantine cathedral in Istanbul into a mosque, and Orthodox Christians are furious. Built in the early sixth century, the Hagia Sophia (Greek for “Holy Wisdom”) was a massive, beautiful, and important Eastern Orthodox cathedral for nearly a thousand years. Following the conquering of Constantinople by the Ottomans in 1453, Mehmed the Conqueror ordered that the house of worship be converted into a mosque and proceeded to ravage the building and destroy its Christian relics, including beautiful mosaics depicting Jesus and other biblical figures. While the ancient structure was converted once more into a museum in 1935, it still remains a significant site in the Greek Orthodox faith. “As you know, the mosque was converted to a museum in 1935, as a reflection of the (Republican People’s Party) CHP mentality. We may as well take a step and change that,” Erdogan was quoted as saying, according to the Greek Reporter. “So any questioning of this status is not just an insult to the sentiments of Christians," Katrougalos declared, "it is an insult to the international community and international law."